My daughters are loving to learn to cook. They tend to do a lot of parties with finger foods. I have been making these sausage stars for years and they are one of our most requested recipes. Erin’s friend asked for this one, so it inspired me to get it on the blog. The stars are a little intimidating the first time you make them, but then they will become one of the easiest, yummiest appetizers you can make. And your guests will be so impressed. 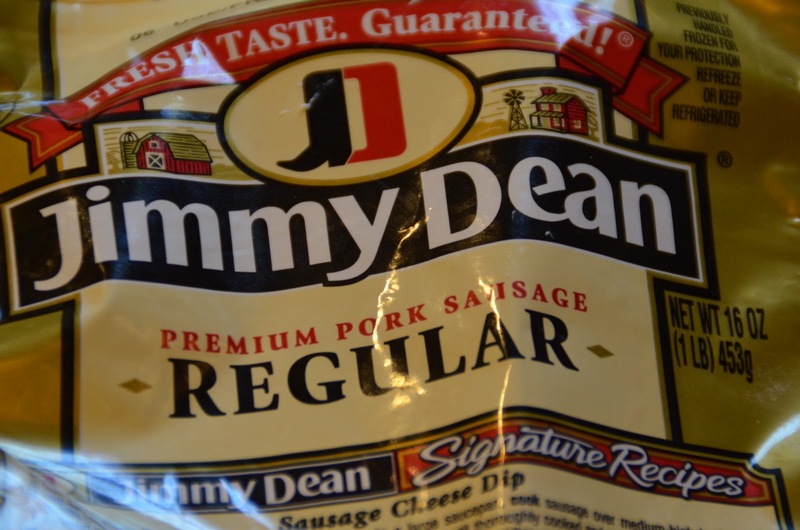 What you’ll need: Jimmy Deans Original Pork Sausage, cheddar cheese, Monterrey Jack cheese, ranch dressing, black olives, cayenne pepper, and won ton skins. Preheat the oven to 350 degrees. Brown the sausage and drain well on a paper towel. In a bowl combine the cheeses. dressing, olives and red pepper. 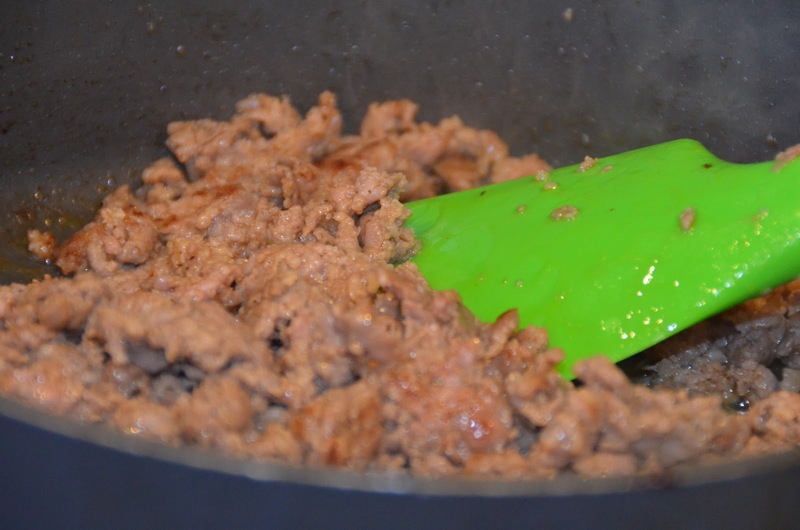 Stir in the sausage. Can be made a couple of days in advance and refrigerated. 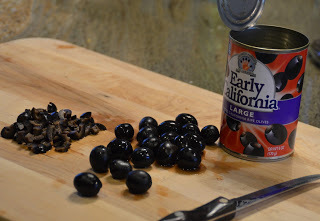 You can get chopped black olives. They are chopped really fine. I like the whole ones better so you can chop them chunkier. This is a large can. Use half the can or buy a small can. Lightly spray a 12 cup muffin tin pan with Pam. 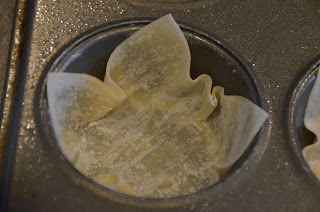 Press one won ton skin in each cup to form a “star” cup. Make sure the corners do not fall down into the center of the cup. Bake for 4 minutes. Remove from pan and turn upside down on a cookie sheet. Bake 5 more minutes. The one on the left is too done. The one on the right is just right. About 4 min. 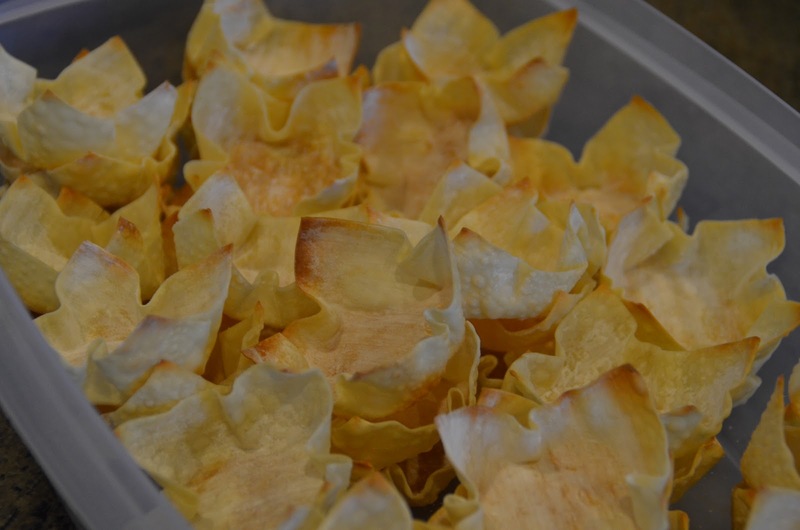 At this point you can cool them and place them in a plastic container or bag and freeze or refrigerate until you are ready to fill and bake. If you are serving them at a party, you can place them on a cookie sheet early in the day and fill them, cover with plastic wrap and refrigerate or keep in a cool place until time to pop in the oven. 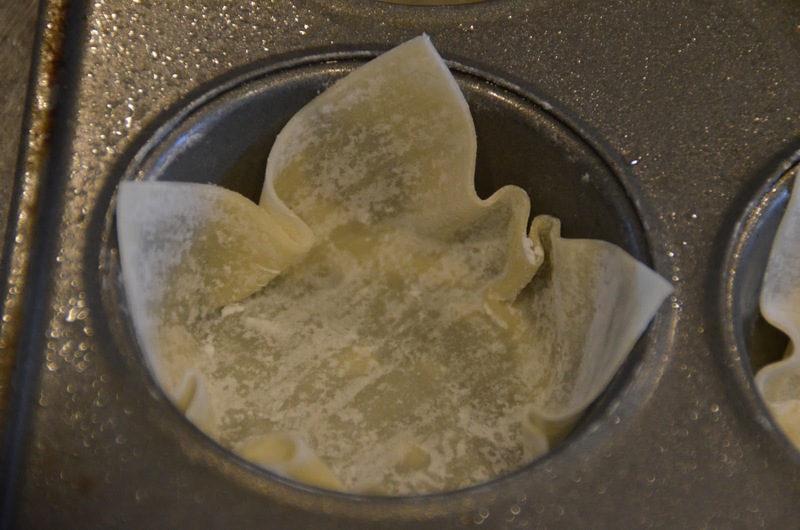 Repeat this process with the rest of the won ton skins until you have made the desired amount of star cups. 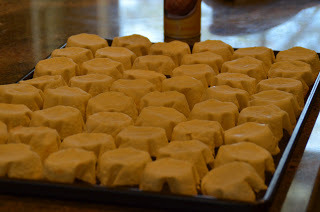 One recipe will make 48 to 60 stars. 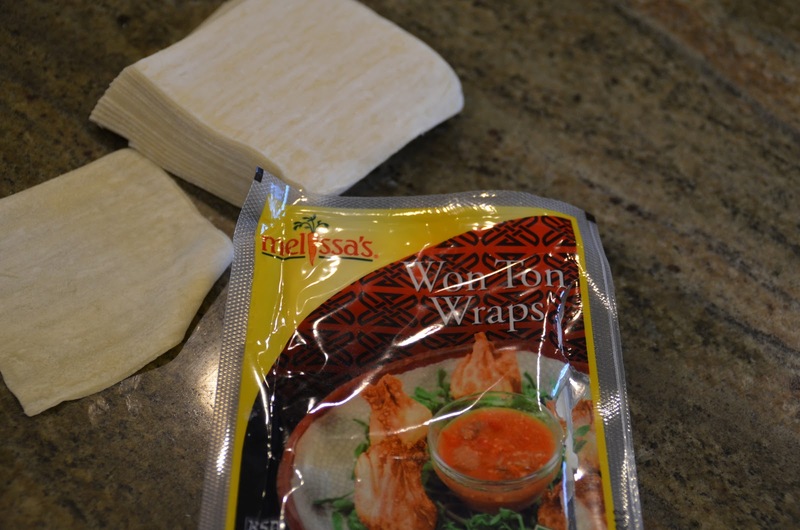 There are 60 wontons in one package. I would make about 3 per person. Turn the won tons right side up and fill with one tablespoon of sausage mixture. 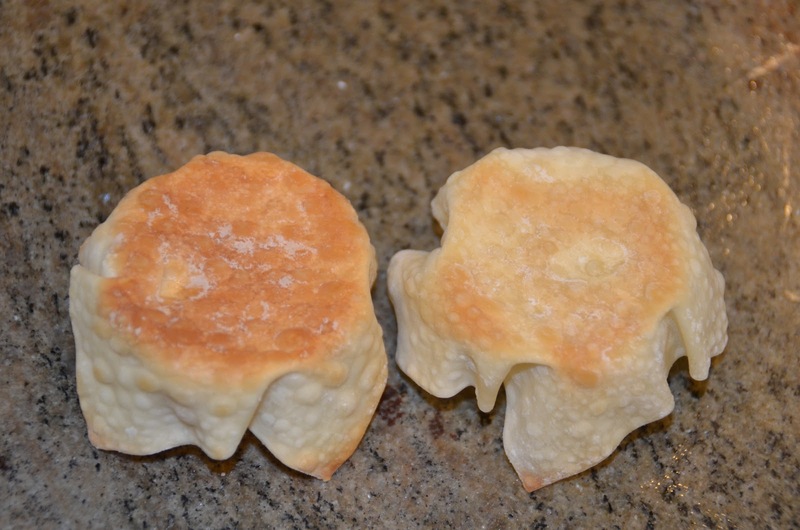 Bake 5 to 8 minutes at 350 degrees or until bubbly. 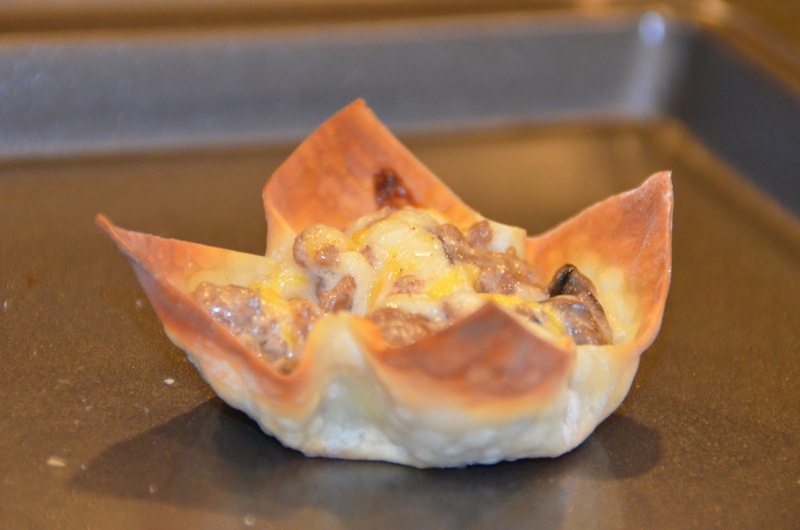 Best if popped in the oven right when guests arrive and serve them right out of the oven. Preheat the oven to 350 degrees. Brown the sausage and drain well on a paper towel. 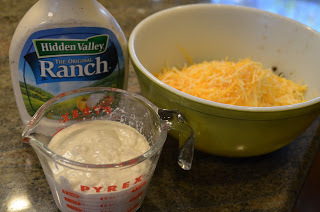 In a bowl combine the cheeses. dressing, olives and red pepper. 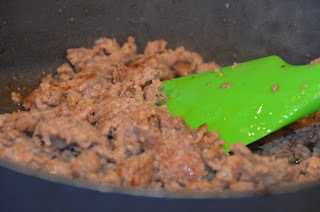 Stir in the sausage. 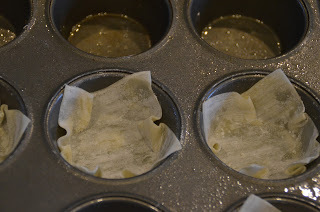 Lightly spray a 12 cup muffin tin pan with Pam. 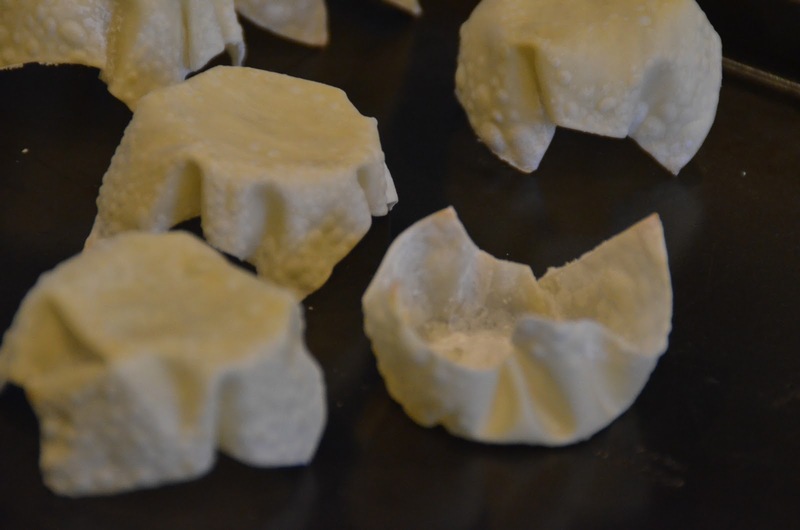 Press one won ton skin in each cup to form a “star” cup. Make sure the corners do not fall down into the center of the cup. Bake for 5 minutes. Remove from pan and turn upside down on a cookie sheet. Bake 5 more minutes. 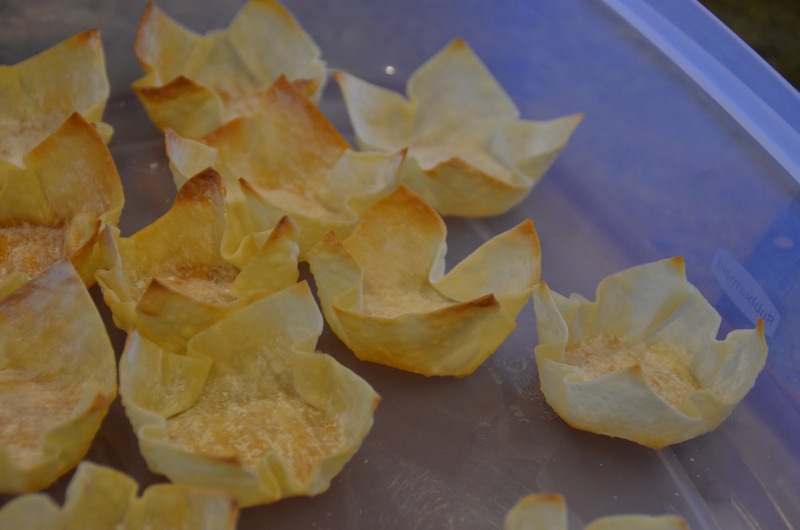 Repeat this process with the rest of the won ton skins until you have made the desired amount of star cups. One recipe will make about 48 stars. There are about 48 wontons in one package. Turn the won tons right side up and fill with about 2 tsp. 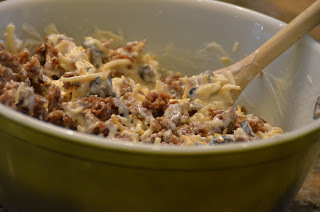 of sausage mixture. Bake 5 to 8 minutes at 350 degrees or until bubbly. 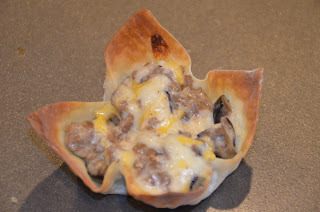 Best if popped in the oven right when guests arrive and serve them right out of the oven. thank you!!! I love them, Erin made them for our girls exchange last year, and I am going to use them for Xmas eve!! I also thank you! 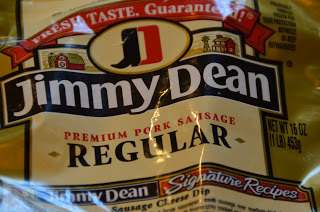 My family loved them and snarfed them down.